Top Fuel driver Bill Litton was named the NHRA’s rookie of the year. The award, determined via a vote of national motorsports media, recognizes NHRA’s Rookie of the Year performer and includes a $20,000 prize. Litton joined in ceremonies honoring 2018 professional champions Steve Torrence (Top Fuel), J.R. Todd (Funny Car), Tanner Gray (Pro Stock) and Matt Smith (Pro Stock Motorcycle) one day after the season-ending 54th annual Auto Club NHRA Finals at Pomona, Calif. Sunday’s event was the sixth and final round of the Countdown to the Championship playoffs. NHRA also presented its special Lifetime Achievement Award to legendary driver “Big Daddy” Don Garlits, 86, a pioneer in the sport of drag racing. Not only was Garlits the first drag racer to break through a myriad of speed barriers in his famed “Swamp Rat” cars, the Florida resident also is known for his safety innovations. Most notably, Garlits perfected the rear-engine Top Fuel dragster design, creating a safer driving environment while revolutionizing the sport’s premier class. Litton competed in 14 of 24 series events during the 2018 season. He defeated eight-time world champion Tony “The Sarge” Schumacher, 2017 world champ Brittany Force and Leah Pritchett to advance to the quarterfinals at Atlanta Dragway, Virginia Motorsports Park in Richmond, Sonoma (Calif.) Raceway and Auto Club Raceway at Pomona. An accomplished aviator, firefighter and motocross rider, Litton raced to his NHRA career-best 1,000-foot time of 3.901-seconds at the event in Commerce, Ga., near Atlanta, and career-best speed of 318.17 mph at Texas Motorplex in Ennis, near Dallas. 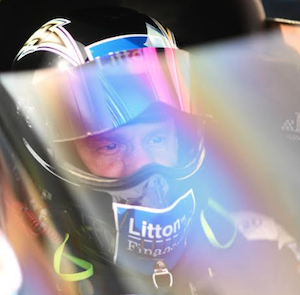 Litton graduated from the Top Alcohol Dragster ranks to Top Fuel in 2015, licensing under the instruction of the father-son team of former world champions Chuck and Del Worsham. In 2016 and ‘18, Litton drove the Worsham family’s Top Fuel Dragster. In the business world, Litton launched Litton Financial in 1987, which now ranks in the top 1 percent of the largest independent investment broker dealers in the country. The other rookie candidates were Kelly Clontz (Pro Stock Motorcycle), Steve Graham (Pro Stock), Kebin Kinsley (Top Fuel), Jim Maroney (Top Fuel), Ryan Oehler (Pro Stock Motorcycle), Mark Paquette (Pro Stock Motorcycle), Wally Stroupe (Pro Stock), Ron Tornow (Pro Stock Motorcycle), Terry Totten (Top Fuel), Richard Townsend (Funny Car) and Audrey Worm (Top Fuel). Torrence won his first Top Fuel crown during eliminations at the NHRA Toyota Nationals at The Strip at Las Vegas Motor Speedway, the fifth stop in an historic sweep of the Countdown. Torrence’s championship season featured 11 victories including all six in the playoffs. Driver of the Torrence Racing dragster, Torrence will return to Pomona for the 2019 season-opening 59th annual NHRA Winternationals, Feb. 8-10, at Auto Club Raceway at Pomona having won 24 consecutive rounds of racing. Todd raced to his first Funny Car championship Sunday during the opening round of eliminations at Pomona. Todd, of Kalitta Motorsports, secured six victories during the season including winning the prestigious Chevrolet Performance U.S. Nationals at Indianapolis. Todd won three of six playoff races in his Toyota Camry. His six victories are a record for a Toyota Funny Car driver. Todd’s playoff wins were part of a campaign that saw him lead the series in victories, as well as win-loss record in elimination rounds (44-18, 71 percent) in his second season in Funny Car. The championship was the second in four years for a Toyota Camry Funny Car driver and third since 2008. Overall, Toyota-supported drivers now have won nine NHRA world championships. “I never imagined a run like this, but the DHL Toyota guys are great at what they do,” said Todd, a 36-year-old native of Lawrenceburg, Ind., who advanced to the finals in five of six playoff races. “I saw these guys do this with Del Worsham in 2015, so I knew that the opportunity was there. I just didn’t want to be the reason for it not to happen. Pro Stock racer Gray, 19, also made history as the youngest NHRA world champion. A resident of Mooresville, N.C., Gray notched eight victories in his Chevrolet Camaro SS, including his first career win at the U.S. Nationals. A third generation racer, Gray earned three wins and maintained the point lead throughout the playoffs. Gray will not defend his title, opting to launch a NASCAR career in 2019. Smith won his third Pro Stock Bike title after not qualifying at the season-opening event for the two-wheeled category at Gainesville Raceway in Florida. Smith’s team, which includes wife and competitor Angie, hit its championship stride beginning at Brainerd International Raceway in Minnesota with three consecutive pole positions. Smith secured his crown during the Countdown with three victories, taking the point lead beginning with Round 4 at zMAX Dragway in Concord, N.C., near Charlotte, on Oct. 14. Smith won the championship aboard his Elite Motorsports EBR in dramatic fashion by defeating four-time/defending world champion and Harley-Davidson factory rider Eddie Krawiec during the final round at Pomona. A 36-year-old resident of King, N.C., Smith also won titles in 2007 and 2013. Additionally, drivers in 10 categories in the NHRA Lucas Oil Drag Racing Series also were recognized as 2018 world champions: Joey Severance (Top Alcohol Dragster), Sean Bellemeur (Top Alcohol Funny Car), Frank Aragona Jr. (Competition Eliminator), Justin Lamb (Super Stock), Brian McClanahan (Stock), Steve Williams (Super Comp), Devin Isenhower (Super Gas), Paul Nero (Top Dragster), Ronnie Proctor (Top Sportsman) and Leah Pritchett (SAM Factory Stock). The 2018 NHRA awards ceremony will be available for viewing worldwide on the internet starting Wednesday, Nov. 21, at NHRA.com and the NHRA channel on YouTube. Chevrolet Racing has been crowned 2018 NHRA Manufacturers Cup winner. The season-long point battle was captured on the strength of the Camaro SS Funny Cars driven by two-time Funny Car world champion Robert Hight, 16-time category champion John Force and Courtney Force. Pro Stock was represented by 2019 world champion Tanner Gray, four-time champ Greg Anderson, 2017 champ Bo Butner, two-time champ Erica Enders, Drew Skillman, five-time champ Jeg Coughlin Jr., Vincent Nobile, Chris McGaha and three-time champ Jason Line. This marked the second consecutive year, fourth time in the past five years and record-extending 23rd time that Chevrolet emerged as top manufacturer on the drag strip. Chevrolet first earned the award in 1966; no other manufacturer has won it more times. The Manufacturers Cup is awarded based upon current-year models earning the most points for qualifying and category wins at Mello Yello Drag Racing Series national and Lucas Oil Drag Racing Series divisional events. Points are awarded in Funny Car, Pro Stock, Super Stock and Stock Eliminator classes, plus the School of Automotive Machinists and Technology (SAM Tech) NHRA Factory Stock Showdown series. Points accumulated by Chevrolet Camaro SS and Chevrolet COPO Camaro drivers in the professional and Sportsman classes were more than triple the closest manufacturer’s total. Overall, 14 different Chevrolet drivers amassed 34 victories in Top Fuel, Funny Car and Pro Stock during the 24-race season. Drivers of the Chevrolet COPO Camaro contributed eight national event and nine divisional event wins in Lucas Oil Drag Racing Series Stock Eliminator and Super Stock categories in addition to the SAM Tech Factory Stock Showdown. Pro Stock competitors driving the Chevrolet Camaro SS won all 24 events. Since the integration of electronic fuel injection in the 2016 season, drivers of the Camaro SS have won 60 of 62 national events. Gray (eight wins) was among 10 Chevrolet drivers _ Coughlin (three), Nobile (three), Butner (two), Deric Kramer (two), McGaha (two), Anderson (one), Line (one), Enders (one) and Matt Hartford (one) _who visited the winner’s circle. Hight, the 2017 NHRA Funny Car world champion for Chevy, earned four victories in his Camaro SS and was runner-up in the standings to Toyota’s J.R. Todd. Courtney Force also won four races and registered a class-high 11 poles in his Camaro SS. Drag racing icon “Brute” Force, added one victory to push his career total to 149. Chevrolet has amassed 133 Funny Car victories since 1967, including 53 with the Camaro body. Though not contributing to Manufacturers Cup points, 2017 Top Fuel world champ Brittany Force won at Houston Raceway in Baytown, Texas, and recorded two No. 1 qualifiers in her Chevrolet dragster. Chevrolet COPO Camaro drivers Justin Lamb, Jeff Taylor, Jeff Strickland and Thomas Fletcher posted national Stock Eliminator victories. Additionally, Stephen Bell and Arthur Kohn each won a race in the seven-event SAM Tech Factory Stock Showdown in their COPO Camaros. Brandon Bakies recorded a Super Stock win in his COPO Camaro. Lamb, driving his 2010 Chevrolet Cobalt, claimed his second consecutive Super Stock championship. And Brian McClanahan drove his 1969 Chevrolet Camaro to the Stock Eliminator title. Oct. 17-20, AAA Texas NHRA FallNationals, Ennis, Texas; Oct. 31-Nov. 3, NHRA Nevada Nationals, Las Vegas and Nov. 14-17, Auto Club NHRA Finals, Pomona, Calif. The alterations move the AAA Texas NHRA FallNationals after the NHRA Carolina Nationals in order to streamline travel across the country. The playoffs still begin at Maple Grove Raceway in Reading, Pa., and then travel to Gateway Motorsports Park in Madison, Ill., near St. Louis. The final four events will progress east-to-west, stopping in Concord, N.C.; Ennis, Texas; Las Vegas and Pomona, Calif. These revisions also accommodate dates of the 2019 SEMA (Speed Equipment Manufacturing Association) Show in Las Vegas, which traditionally occurs immediately following the NHRA Nevada Nationals. Having the two events in close proximity to each other theoretically will allow the entire racing community _ fans, sponsors, teams, track operators and auto enthusiasts _ to attend both events.